Cedar Manor Hotel & Restaurant015394 43192work015394 45970fax HotelSituated in the midst of all the beauty and grandeur of the English Lake District, the Cedar Manor Hotel takes it's name from the majestic Indian Cedar Tree, said to be 200 years old, which dominates its mature private gardens. The hotel is within easy walking distance of Windermere and the lake with breathtaking scenery on the very doorstep and a wealth of leisure facilities such as sailing, water skiing, windsurfing and pony trekking close at hand. In short we provide an ideal base from which to explore the entire Lake District with all its magnificent mountains, glassy lakes, picturesque villages, small towns and rich heritage only a short drive away. Some rooms have king-sized beds, suite with spa bath. 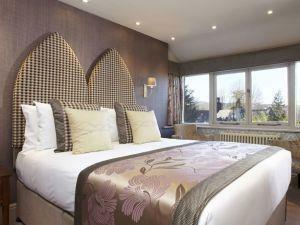 Cedar Manor Hotel & Restaurant sometimes limits bookings to 3 or more days. Large ground floor room with super-king size bed. Flat screen TV & DVD player. Bowness sometimes limits bookings to 3 or more days. A small double-bedded room with large window & lake view. Benefit of separate dressing room. Dinner bed and breakfast rates also available, please mention in the comments section of the booking form if you would like to include dinner. 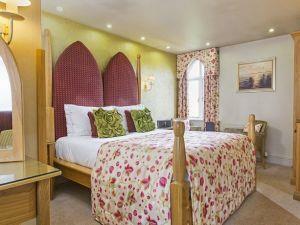 En suite room with locally hand made furniture including a four poster finial bed. Crinkle Crags sometimes limits bookings to 3 or more days. 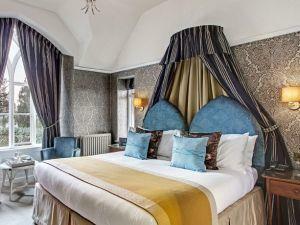 King sized canopy draped bed with spa bath and views of garden. DVD player. Discount for stays of 3 nights or more (midweek), dinner also available please mention in comments section of booking form if you would like dinner bed and breakfast. 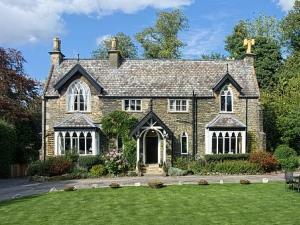 Langdale sometimes limits bookings to 3 or more days. 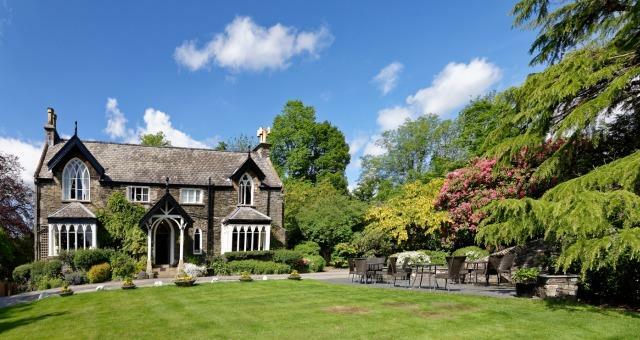 Situated in the midst of all the beauty and grandeur of the English Lake District, the Cedar Manor Hotel takes it's name from the majestic Indian Cedar Tree, said to be 200 years old, which dominates its mature private gardens. 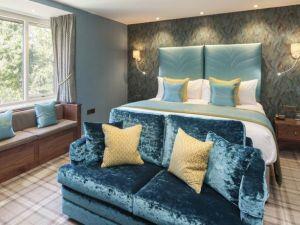 The hotel is within easy walking distance of Windermere and the lake with breathtaking scenery on the very doorstep and a wealth of leisure facilities such as sailing, water skiing, windsurfing and pony trekking close at hand. In short we provide an ideal base from which to explore the entire Lake District with all its magnificent mountains, glassy lakes, picturesque villages, small towns and rich heritage only a short drive away. Some rooms have king-sized beds, suite with spa bath. The newly awarded AA-rosette restaurant at Cedar Manor serves a set evening menu plus a select a la carte menu using all fresh ingredients, sourced from local suppliers. Open to residents and non residents. Wi-Fi internet throughout hotel. Free internet access. Children welcome from any age. From jct 36 on the M6 take the A591 to Windermere, keep on this road, do not turn into village. We are on the left hand side of the road a little way down the hill.